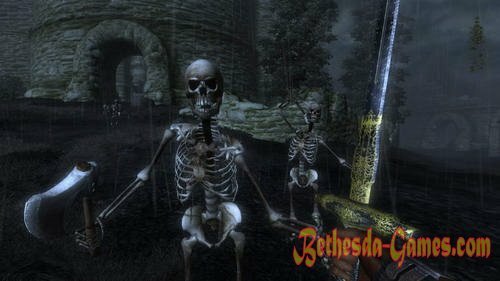 Due to the lack of Uriel Septim heirs breaks down barriers to Oblivion, sinister realm in another dimension. Around the world, numerous open the gates to Oblivion through which to invade Tamriel magical creatures called Daedra. Geoffrey says the protagonist, the only way to close the gate forever - is to find a man of royal blood who will take the throne and kindle in using the Amulet of Kings Dragon Fire in the Imperial City. As it turns out, such a person is - Martin, a priest in the city of Kvatch, which nezakonorozhdёnnym son of the emperor. 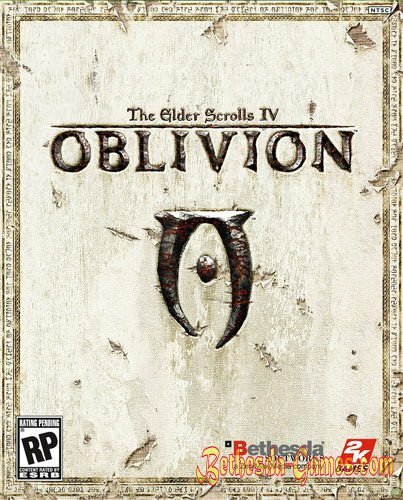 Arriving at Kvatch, the hero discovers that the city was destroyed Daedra, and the entrance to the city block the gates of Oblivion. Closing them, he finds Martin and convinces him to go with him to the monastery Joffrey Veynon. Upon returning it turns out that the monastery was attacked by the Mythic Dawn and that the Amulet of Kings stolen. The protagonist is accompanied by Geoffrey Martin and the Temple of the Lord of the Clouds, the fortress of Blades. There Martin recognize the emperor and gave him the command, and the hero goes in search of the amulet. After gathering the information, he tries to penetrate the mystery of the place of gathering the Mythic Dawn. There he becomes a witness to the leader of the cult Mankar Camoran escapes through a portal with an amulet. Hero brings the book to open a portal to Martin, who finds a way to re-open it. 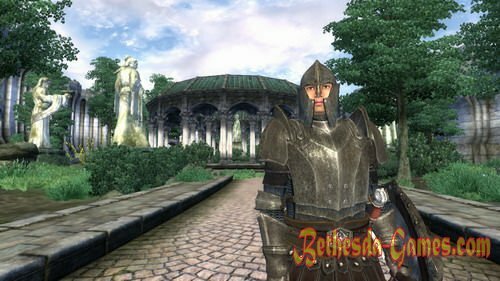 To this end, the protagonist must find Daedric artifact armor of the First Emperor of the Septim Dynasty and Great Velkindsky Stone. 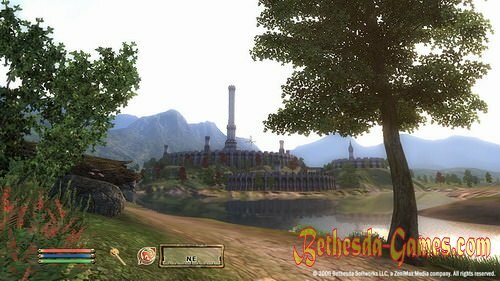 Upon receiving them, Martin reveals that the last necessary ingredient - it Sigilsky Great Stone of the Great Gate, such as those that destroyed Kvatch. Martin and Geoffrey decides to let Daedra attack Broome to open the gates. After receiving the stone, the hero of their covers. Martin creates in the church portal, through which the protagonist. Passing the monsters and obstacles, the hero faces Camoran, kills him and returns amulet Martin. 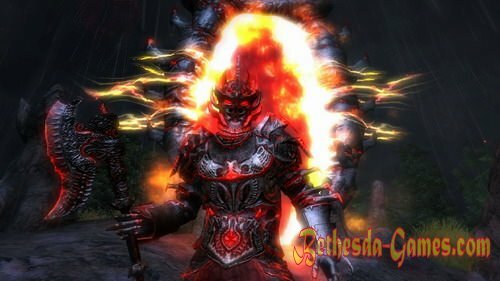 Blades are sent to the Imperial City to ignite Fire Dragon and put an end to the invasion Daedra. They discover that the city and attacked the Daedra Prince of Destruction, Mehrunes Dagon. Protagonist and Martin make their way to the Fire. Martin breaks amulet to connect with the spirit of Akatosh, the Dragon God of Time, and become its embodiment. After the battle, Martin sends Dagon back to Oblivion and turns into a statue of a huge dragon. Martin disappeared, the gates of Oblivion locked forever destroyed the Amulet of Kings, and the imperial throne empty. In the final monologue, Martin describes the events in an optimistic way and said that the future of Tamriel is now in the hands of the protagonist.